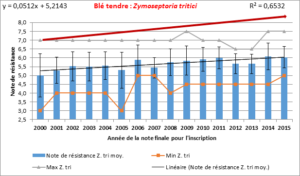 The changing and more diverse agricultural conditions, together with changing growing conditions (linked to climate change) in France, has led to a reflection on how to assess the performance and value of new varieties. 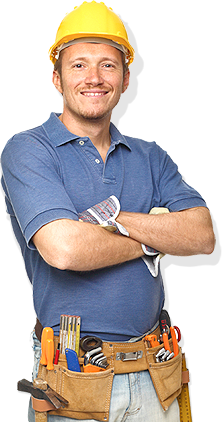 Existing testing structures and methods need to be adapted to obtain more pertinent data. Climate change will lead to great and unpredictable variations in weather conditions on a year to year basis. 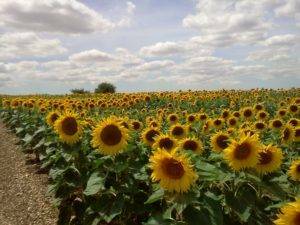 This, together with a transition in Europe towards a more agro-ecological way of farming, means that plant varieties must be adapted to more varied agicultural practices, and that their value and performance must be assessed in relation to both of these changes. Different methods are being tested for the characterization of biotic and abiotic stresses, plus associated varietal responses. It is also necessary to develop statistical tools for the analysis of genotype x environment (GxE) interaction, and modelling to evaluate varietal behaviour. In order to optimise the use of data collected, the sharing of variety and environmental data will require appropriate storage and dissemination-consultation methods. Within the context of significant reduction in the use of pesticides, the sustainability of resistance to pests and diseases must become a key issue in variety evaluation. This gradual decrease in the use of pesticides, together with climate change has lead, and will continue to lead, to the rapid emergence of certain pathogens. GEVES intends to remain reactive to the fast changing needs for resistance tests and the identification of the tolerance of varieties to pests and diseases. GEVES is currently carrying out research to evaluate the technological quality of varieties, in particular through the use of NIRS and NMR, which are analytical techniques for the qualitative and quantitative measurement of biochemical constituents. In addition to this, GEVES aims to acquire techniques to establish chemical profiles determining the organoleptic composition of plant organs. 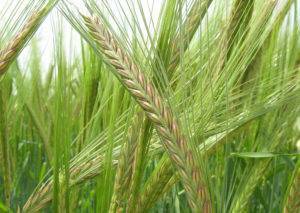 Human health should also be taken into account when registering new varieties of cereals. To this end, GEVES is planning a research project on varietal resistance to mycotoxin accumulation in cereals. 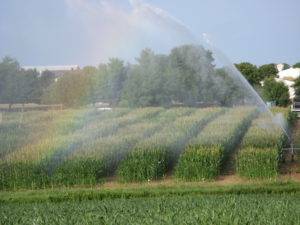 Advances are being made in routine phenotyping methods (in field and/or controlled conditions). 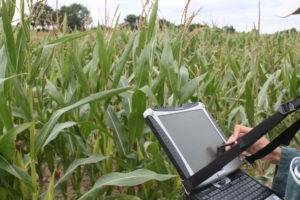 Research is being carried out on imaging tools to measure coverage, plant architecture and disease resistance under different growing conditions (optimal, stress). 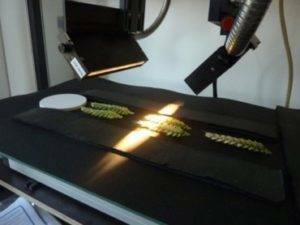 Work, using multi- or hyperspectral equipments, is also being done to further develop field phenotyping tools to quantify pests and diseases. Molecular biology tools, using predictive markers for agronomic and/or technological traits of varieties, have been developed, particularly for characteristics with simple genetic determinism (proteins of technological interest, resistance genes, etc.). RustWatch is based on a multi-stakeholder and multi-network approach, such as the EU Value for Cultivation and Use (VCU) registration network, and on the sharing of communication and research infrastructures. GEVES is a task leader within WP3, contributing to the early identification of new yellow rust virulence races, by using a harmonised differential host range in 63 sites of the European VCU network, with 20 institutes and 17 countries, including partners and stakeholders. This project has received funding from the European Union's Horizon 2020 research and innovation programme under grant agreement No 773311. The “Seed and Sustainable Agriculture” plan seeks to improve continuity for variety evaluation. 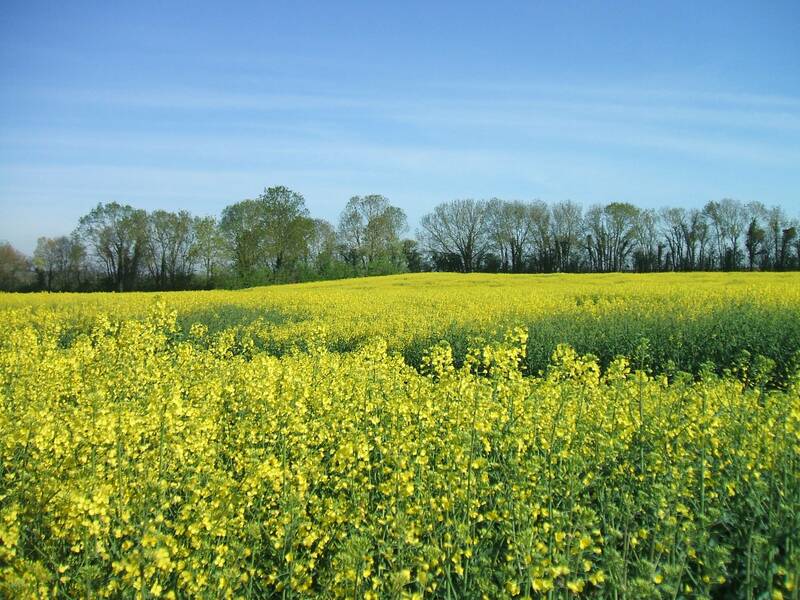 Its actions include “Studying procedures for using data produced by plant breeders for official recognition”: this the aim of the Donobt project. Coordinated by GEVES and funded by CASDAR, it studies ways we can use trial data from plant breeders within the CTPS framework. Optirés: Optimise variety trial networks using, in particular, methods which control spatial heterogeneity in the trial. This project, coordinated by GEVES and funded by CASDAR, is conducted in partnership with INRA, Arvalis, Terres Inovia and ITB. It aims to develop evolutions for statistical processing of variety trial data and new rules for using a given trial in the final groups. Carabiot: Develop a common approach amongst stakeholders in variety evaluation for characterising variety tolerance to major abiotic environmental stressors in trial networks (sugar beet, soft wheat, rapeseed, maize, sorghum, spring pea). 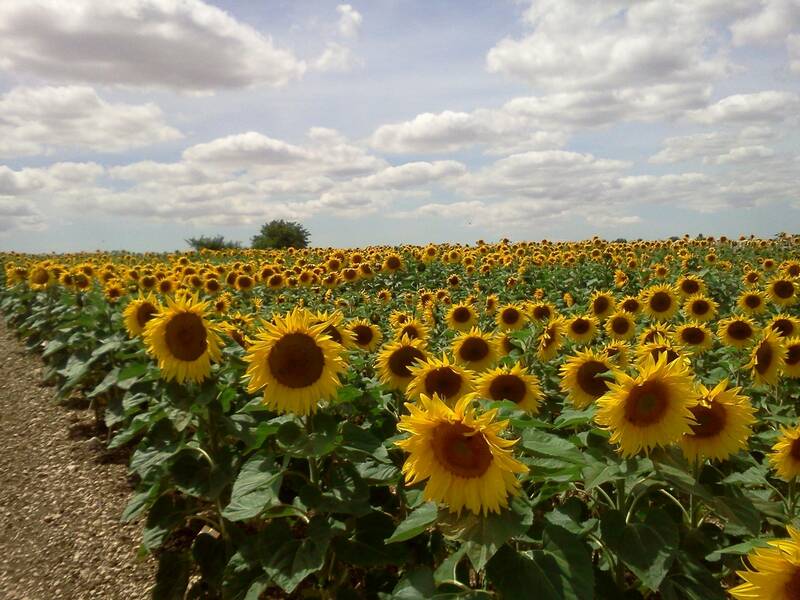 This project, funded by CASDAR, brings together organisations who develop models (INRA, research institutes) and potential users (GEVES, plant breeders, research institutes, INRA testing stations). It aims to develop tools for characterising variety testing environments, with a view to obtaining environmental co-variables providing dynamic descriptions of the climate and water and nitrogen resources. The selected strategy consists in using simulation models. The predictive capacity of these models has been evaluated using measurements taken in specially equipped trials. By the end of the study, the different partners will have a common approach for characterising abiotic stressors in variety trial networks. An approach which builds on the current system using specific trials (in field or using the phenotyping platform) which test the differential sensitivities of varieties to abiotic stressors (primarily water and nitrogen) for yield or morpho-physiological traits. 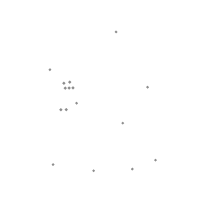 Each time, models are used which simulate variety behaviour when interacting with the environment. These two approaches will be tested on beetroot, maize, pea and sunflower, as part of the activities of the GIS GC HP2E “Variety Innovations” group. This project, funded by CASDAR, is conducted in partnership with ITB, INRA and the UFS. 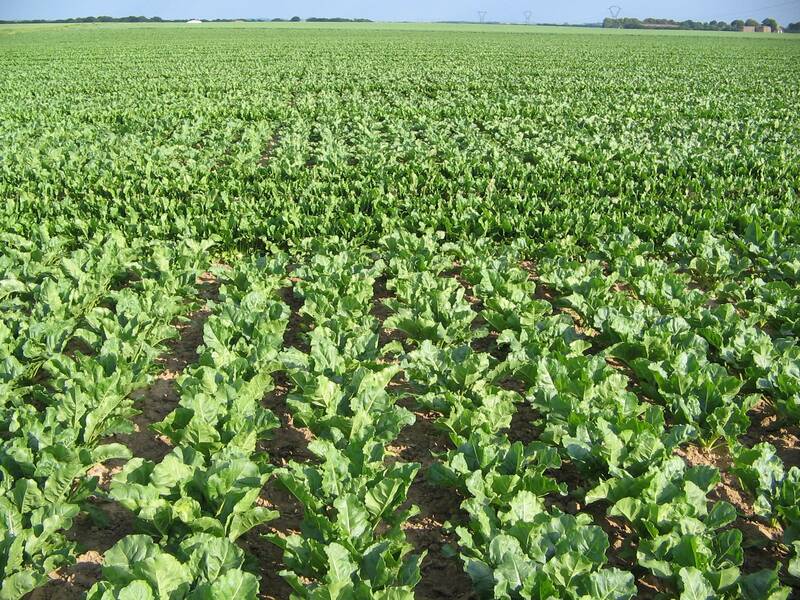 It has developed a methodology for characterising beetroot varieties to evaluate their capacity to compete with weeds. 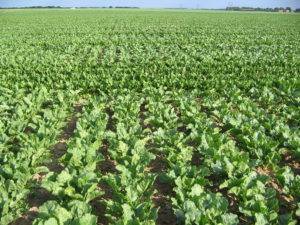 The aim is to reduce the use of herbicides for certain variety phenotypes. The Breedwheat project aims to strengthen the competitiveness of the French wheat plant breeding and production sector, and to address society demands for sustainability and quality in agricultural production. 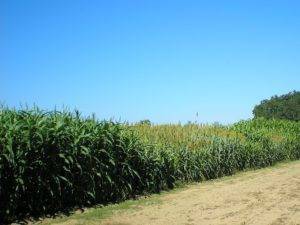 The project combines new high throughput genotyping and phenotyping technologies to identify the genetic factors behind agronomical traits such as yield, quality and stress tolerance (pests, disease, drought, etc.). 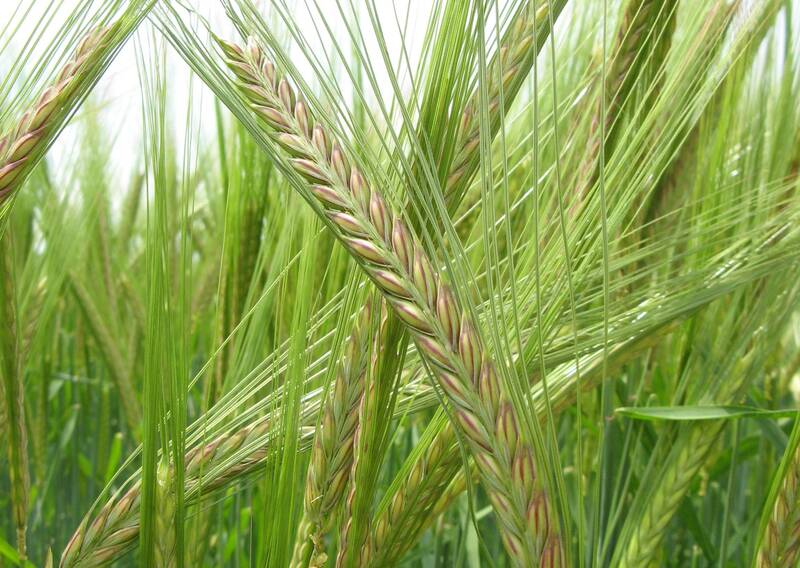 Funded by ANR “Future investments”, the Breedwheat project is headed by INRA Clermont-Ferrand-Theix. It brings together 26 partners, including 11 private companies from the sector. 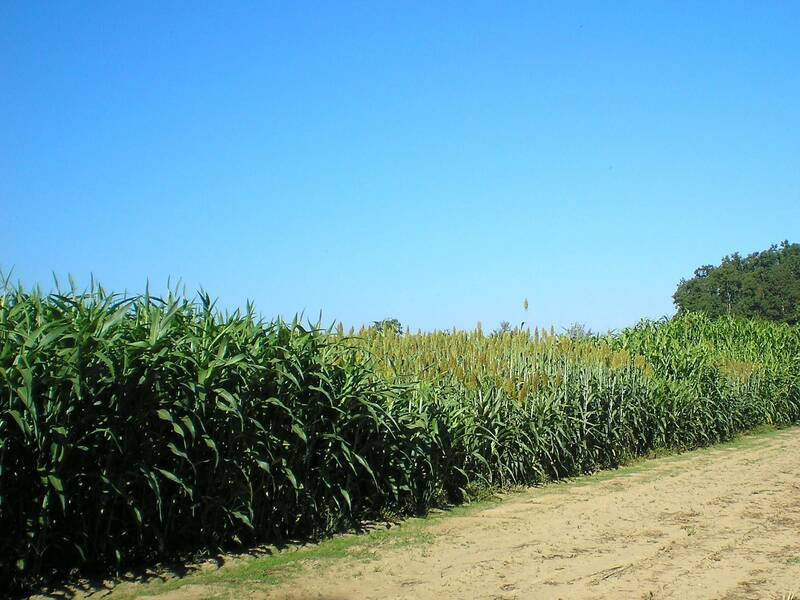 AMAIZING is designed to support the competitiveness of the French maize breeding sector and to meet society demand for sustainability and quality. It combines two main axes, phenotyping and genotyping, using high throughput techniques to identify the factors behind agronomic traits such as yield, quality, and abiotic stress tolerance. Funded by ANR “Future investments”, the project is coordinated by INRA Versailles and brings together 24 public and private partners. This methodological research project is funded by CASDAR and coordinated by GEVES in partnership with the ARVALIS plant Institute. It has helped to improve and refine the CTPS scoring methods of straw cereals variety resistance to pests and pathogens. A new multi-annual listing procedure referred to as TROCADERO, was developed at GEVES to define the VCUS ratio. 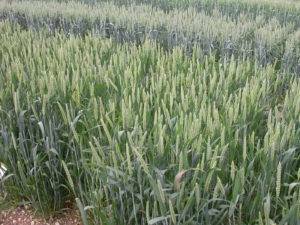 The rating methods used were validated for common wheat by the VCUS (Value for cultivation, use and sustainability) and bioagressors expert commissions and outlined in the CTPS straw Cereals Section in October 2014 and January 2015. 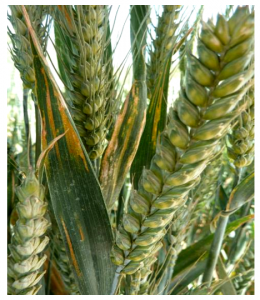 Since 2014-2015, ten characters can be rated by the TROCADERO method for registration of common wheat varieties in the French catalogue: Fusariose, Septoriose (S. tritici), eyespot, yellow rust, brown rust, powdery mildew, sprouting, height, alternative and lodging. An intermediate rating by the end of the first year may also be issued. 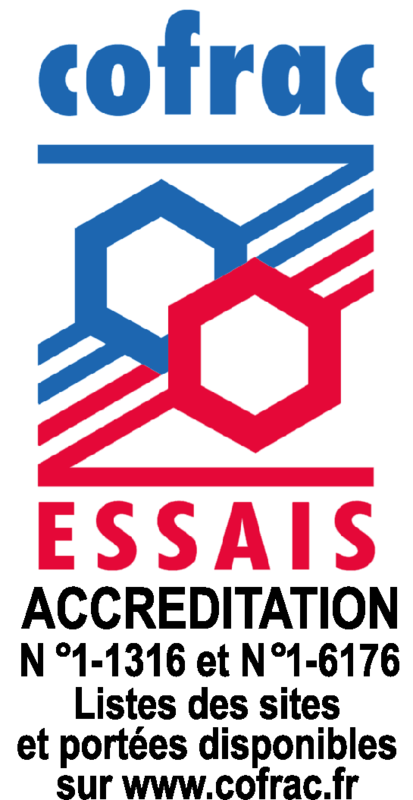 This project, coordinated by GEVES and funded by CASDAR, is conducted in partnership with ITAB, FNAMS, Arvalis Institut du Végétal, FREDON Nord Pas-de-Calais, and Chamber of Agriculture 26. 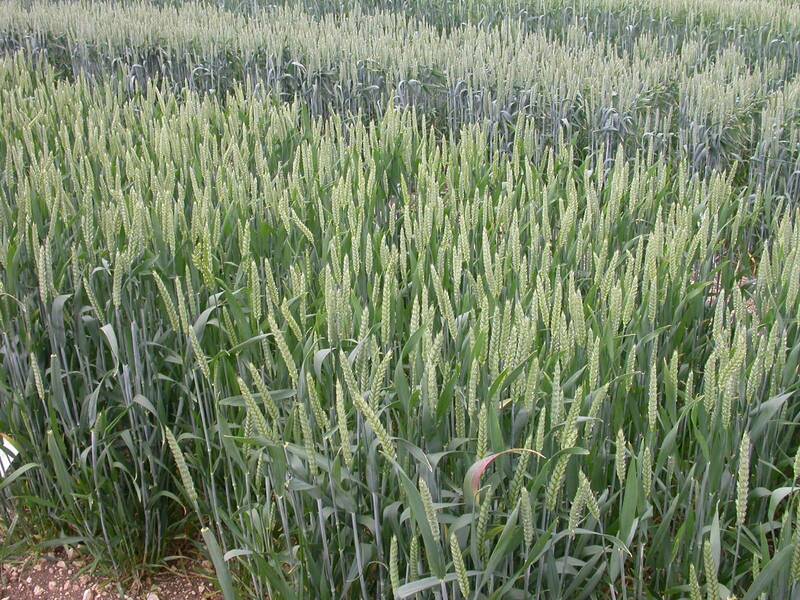 It aims to define the predominant virulences in France, and use these strains to develop a variety resistance test for registering soft wheat varieties in the Catalogue under organic farming. It will also help to reduce the number of treatments used on conventional seeds, as anticipated in the Ecophyto II plan, and in support of organic farming which is virtually impossible due to this disease. iii) evaluate the impact of impacts on technological and sanitary quality. Supported by the Ecophyto system and in cooperation with the French National Office for Water and Aquatic Environments (ONEMA), this project is coordinated by the UMR GDEC unit of INRA Clermont Ferrand in partnership with GEVES, Florimond Desprez and the Plant Molecular Biology Institute at CNRS. 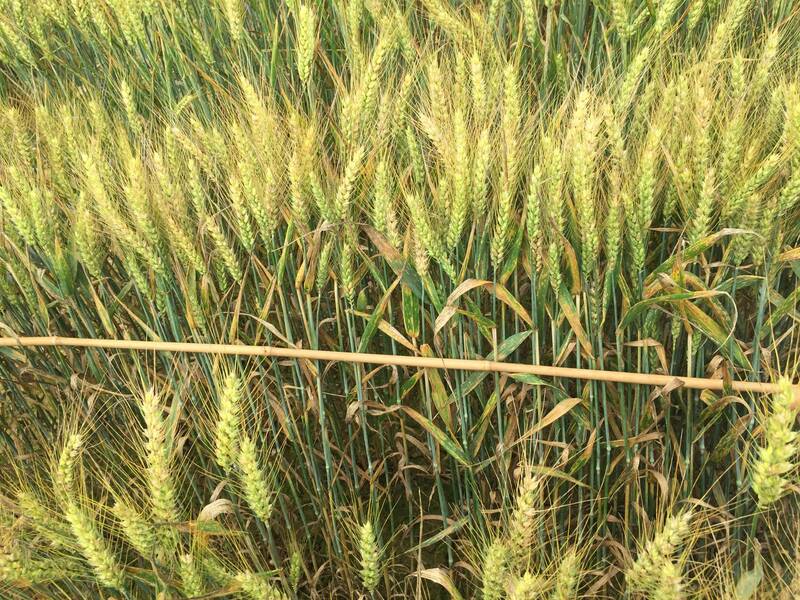 The project aims to overcome a number of obstacles linked to phenotyping in order to measure DON levels or evaluate symptoms on the grain or ear, to identify French varieties of wheat showing RKI and RTA resistance, and identify the genomic regions involved in this type of resistance through a genetic association study. GEVES’s participation in this project focuses on comparing methods for estimating the quantification of mycotoxins (Deoxynivalenol) using the Videometer, Elisa tests, qPCR, and NIRS. This project, coordinated by Florimond Desprez and funded by the FSOV, associates GEVES, the UFS and Arvalis. 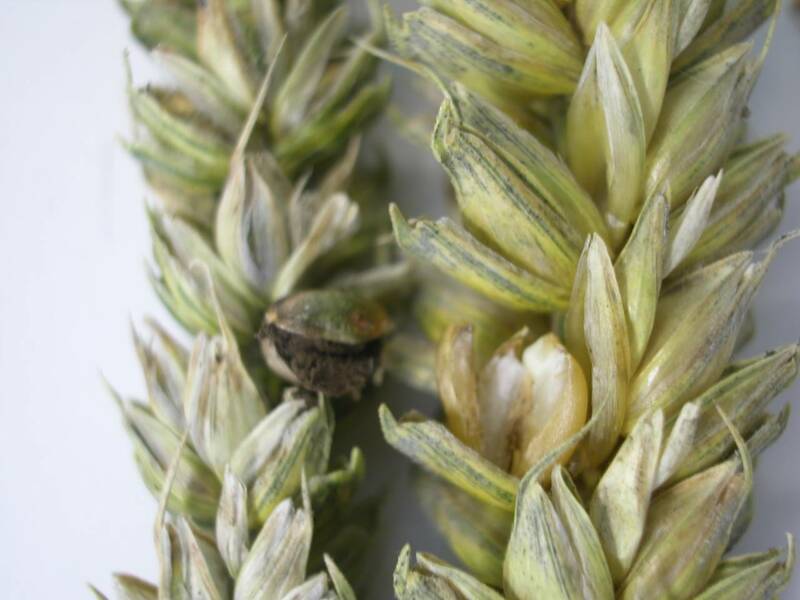 It aims to accurately assess the presence and occurrence of Microdochium in France, to gain a better understanding of its development in fields, and to determine the behaviour of current soft wheat varieties. The findings will be used to provide plant breeders with the necessary tools to create varieties that are resistant to Microdochium. For this project, GEVES is working on developing a phenotyping method using multispectral imagery (Videometer) to quantify the number of grans contaminated with Microdochium, with a view to using this method in future resistance tests for the registration of varieties in the French catalogue. 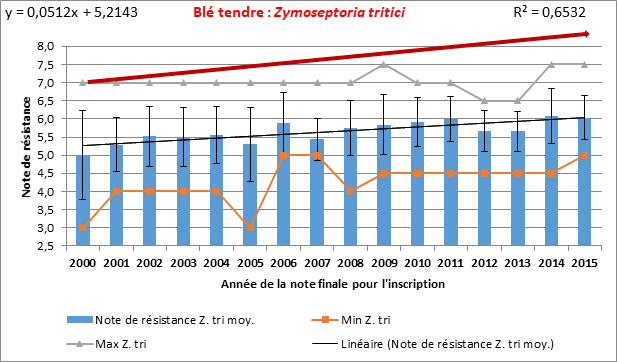 Improvement of the evaluation of courgette resistance to the Cucumber Mosaic Virus (CMV), Zucchini yellow mosaic virus (ZYMV) and Watermelon mosaic virus (WMV). 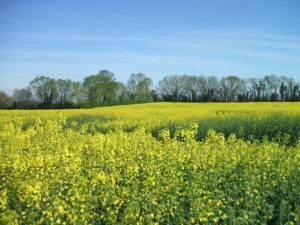 This project is funded by CASDAR and comprises GEVES, INRA, and seed companies. It has developed a resistance evaluation test for courgette varieties to three viruses: CMV, WMV and ZYMV. The protocols are now available for the CTPS and can be proposed to the CPVO and UPOV. The evaluation of the resistance of courgette varieties to these three viruses can be carried out by the SNES’s pathology laboratory on request from seed sector professionals. 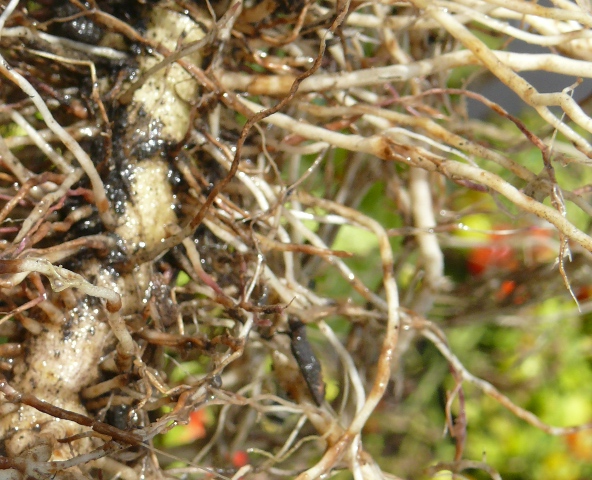 Corkyres: Development of a test to evaluate tomato variety resistance to corky root. This project is funded by CASDAR and comprises GEVES, INRA and seed companies. It focuses on developing a test for evaluating the resistance of tomato varieties to corky root. 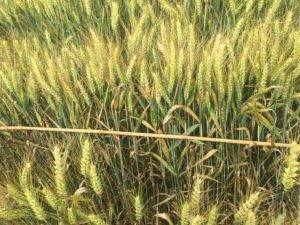 The project introduced a new DUS characteristic to the CTPS for registering varieties in the Catalogue. This protocol, which is very important for rootstock DUS testing, will be presented to the CPVO and UPOV. The evaluation of the resistance of tomato varieties to corky root can now be carried out by the SNES pathology laboratory upon request from seed sector professionals. 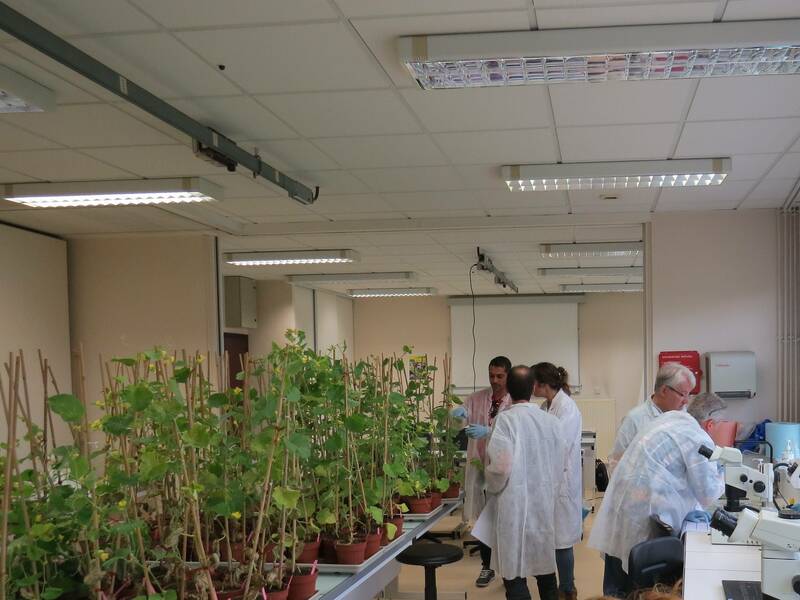 This project, coordinated by GEVES and funded by the CPVO, involves eight European examination offices, a technical centre, and seed companies from the European Seed Association(ESA). The project aims to harmonise resistance tests for 7 pathogens and pests of tomato, pea and melon for the CPVO, and to establish new official protocols.